All in favor of holiday treats, raise your hand (I'm guessing all hands are raised right now??). All in favor of holiday treats that don't require a 2 day process, 7 separate bowls and like 5 people helping, raise your hand (I'm going to guess that, again, all hands are raised). 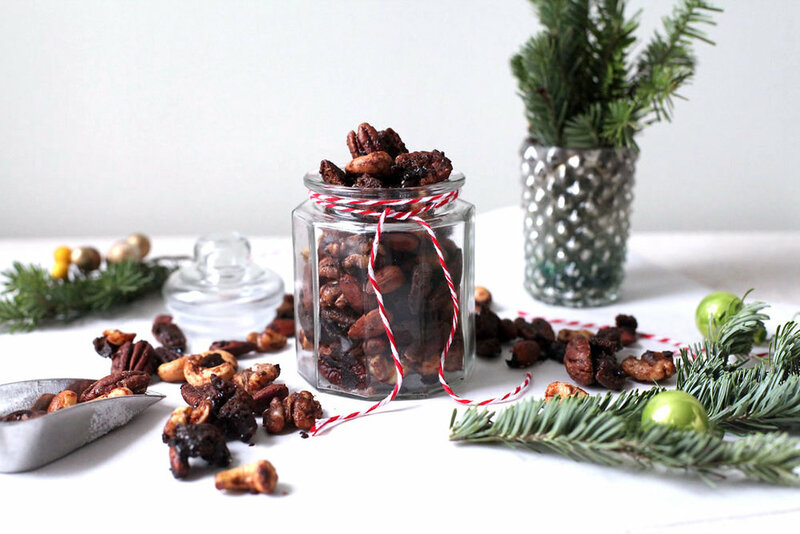 All in favor of these candied gingerbread nut clusters, if you aren't raising your hand yet, you will be soon. 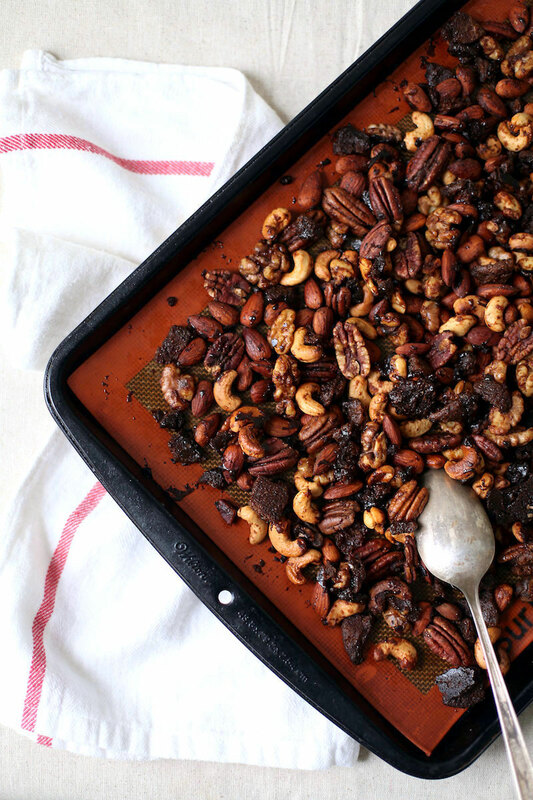 Basically, they're delicious candied nuts coated in the spicy warm flavors of gingerbread. Oh, and did I mention that there are cookie pieces in those nut clusters? Yup, actual pieces of gingerbread. Obviously, if you weren't already, you're definitely raising your hand for these now! Don't worry...I'm sharing the super easy recipe (it's basically 2 steps, 2 pans and 30 minutes) in my December post on Sugar & Cloth. Grab the recipe now to snack on and gift all holiday season long!